Whether you need a parcel to Paris, something towed to Toulouse or removal to Rennes then you need to find a courier to France. At just a brief jaunt across the channel, transportation to our European neighbours can be both easy and inexpensive. Unlike other parts of Europe, transport to France from the UK doesn’t involve that much extra mileage and the short ferry trip is not too much of an outlay for large cross channel deliveries. If you’re hiring a delivery service to send items to France then you need to prepare them for transportation before your driver arrives to collect them. Firstly you need to make a record of the condition of the items you are sending to France (ideally including photographs). This is important because it will let you notice, once your items are delivered, whether or not they suffered any damage during transit. If you are importing an item or quoting on an eBay item, then make sure the seller has details of the item before it’s sent. - Boxing: keeping your items safely boxed helps with sending multiple consignments. 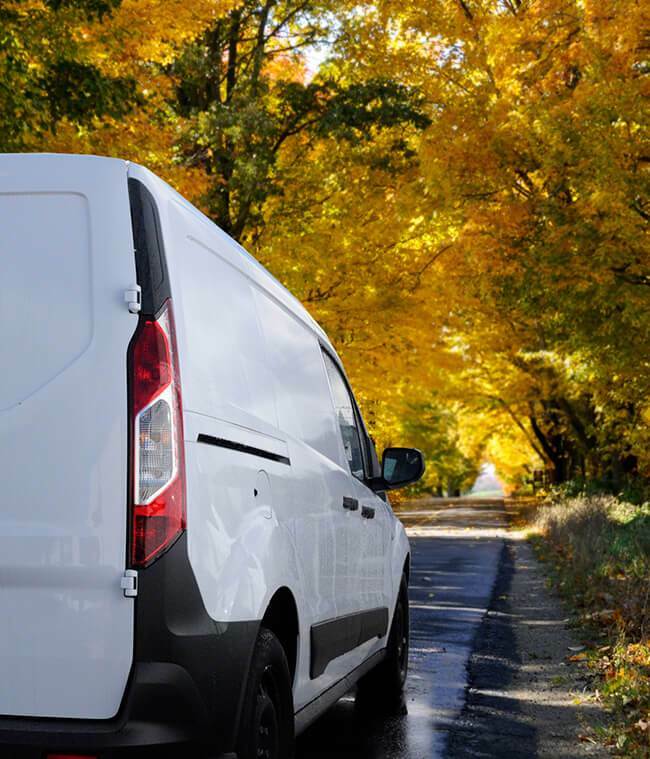 Making sure that your items are easily stacked in a van helps to avoid damage to them and also allows drivers to make the most of their space. Transporting goods across the channel to France is not going to cost that much more than a domestic delivery in the UK, but of course there are some additional charges that can be incurred with any international delivery. Customs and excise duties are not usually payable on items when both parties are residents and the items are not business related, so do check with HMRC and French authorities – especially if exporting for trade or shipping a car. If you’re sending a Piano to Montpellier or breakables to Bordeaux then you are going to need a specialist fragile items courier to safely take your items across to France. But if you’re only sending a bag of bricks or other basic goods then you only need to hire a basic courier service. Your potential courier’s expertise can also come in the form of their experience with European deliveries. Finding a driver who’sknowledgeable about UK to France delivery routes and perhaps even speaks the language can be beneficial. This is one of the key requirements you should have for choosing an international courier. Standard UK rates of cover for goods in transit insurance will cover your possessions for up to £10,000 or around twelve thousand euros, enough for most deliveries – though if you’re shipping a car or more expensive item then specialist couriers can have greater levels of cover. When looking to hire a courier to France it can be difficult to gauge their trustworthiness at first glance. Finding a transporter that is registered with a recognised movers association such as the European Movers Association (for removals) can give you some peace of mind. These independent bodies help to regulate delivery companies and ensure a high standard of service. Perhaps the easiest way (in theory) to find a reliable French delivery service is to find reviews they have received from past deliveries they’ve undertaken. The only problem with this approach is to find a place where you can aggregate reviews from available courier companies. A French courier is going to cost a lot more than a domestic removalup the road. Couriers can cost anywhere up to €0.93 per km (or £1.20 per mile in old money) but you can save on this rate by finding drivers who have spare capacity. Which is where Shiply comes in! Also try to include photos and dimensions. If you’re listing an eBay item then we can import all the information from the auction for you. By uploading your delivery you open a huge amount of possibilities in terms of delivery. Any of our registered transport providers can offer you a price for delivery. Couriers compete in a reverse auction to try and win your delivery and you can choose your favourite quote. Compare French shipping quotes and examine the feedback the budding quoter's have received on other completed Shiply jobs – then choose your preferred driver. When your package or van load arrives in gay Paris or wherever you are in France, do make sure to check for any notable signs of damage. In the unlikely event your item has been damaged during transit then you need to consult your transporter. For eBay deliveries to France that aren’t as described then you need to open a dispute with the seller. Once you’re happy with your French delivery please leave some feedback for your driver on Shiply to help future users know if the transporter is good or not.